Political post alert. 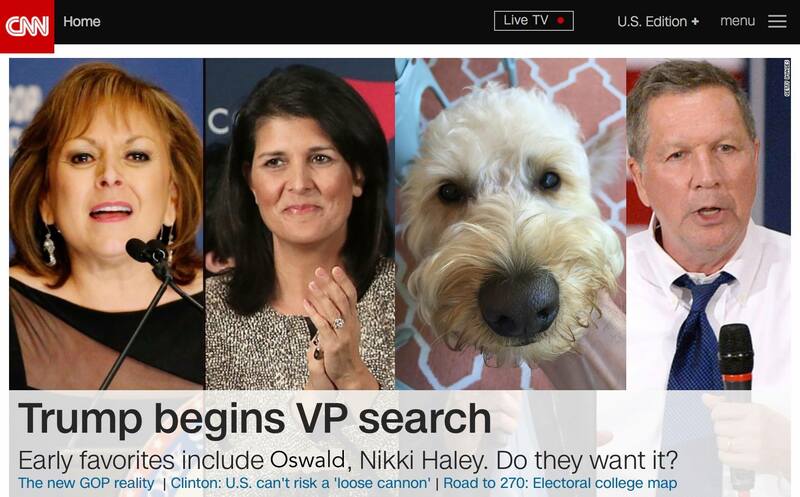 Our dog, Oswald, is on the short-list of Trump’s VP candidates. Just reported by CNN.